MarkLives.com has announced its Top 5 commercial South African magazine covers for 2017. Shane de Lange, the design columnist for the media, marketing and advertising website, managed the process. 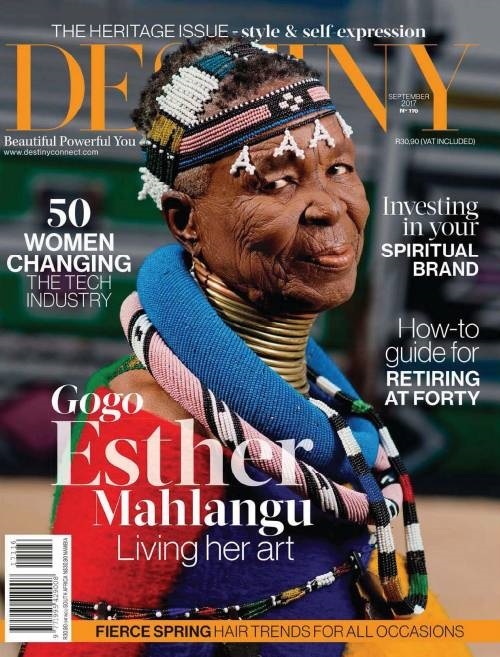 The best magazine cover produced in South Africa by a commercial magazine title went to DESTINY for its September 2017 issue, which features the world-renowned, 82-year-old South African artist, Esther Mahlangu, on the cover. For more, go to http://www.marklives.com/2017/12/cover-stories-top-5-south-african-mag-covers-for-2017-commercial/. PPC Imaginarium Award-Winner Handre De La Rey And His Design Studio 20 Eight Launch The World’s First Commercially Available Concrete Sunglasses!